On Sunday, November 4, 2012, Gerry Weiner was awarded The Carmel Award of Merit. Gerry received this award in recognition of his long-time service to Canada and the province of Quebec, his deep sense of community, and his dedicated support of the University of Haifa, Israel. Gerry has accomplished a great deal in his life. He grew up in Montreal and co-founded a neighbourhood pharmacy; he has dedicated more than half a century to the delivery of health care services. Over the years, Gerry has also been very involved in education and the quality of life of his neighbours. He has been honoured for his many efforts in combating racism, anti-Semitism and his vigorous defense of Human Rights. (left) James Metcalfe, Director, Immigration, Pace Law Firm(centre) The Hon. Jason Kenney, Minister of Citizenship, Immigration & Multiculturalism. (right) The Hon. Gerry Weiner, P.C. 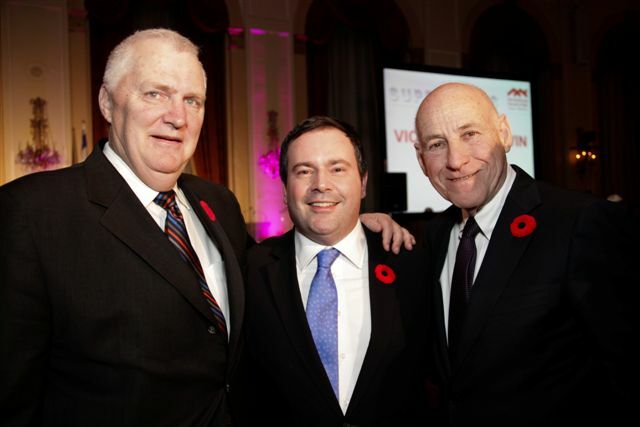 Gerry’s accomplishments as a former Minister of Immigration and Citizenship, and Secretary of State for Canada, included the creation of the Department of Multiculturalism and Citizenship. He was the principal author of the Multiculturalism Act, and was centrally involved in the creation of the Immigrant Investor Program. Helping Canadians to understand the value of diversity, Gerry became known as “Mr. Multiculturalism”. Currently, Gerry is the Director of Investor Relations for Pace Law Firm and Pace Global Advantage. Congratulations on your award, Gerry!